If you're looking for dolls and toys for the fantastic animated film, The Boxtrolls, then you're in the right place! If you liked ParaNorman, you're in for a treat! The next creation from those talented folk who brought us ParaNorman and Coraline, are back with what looks like a truly amazing film, The Boxtrolls. I love the feel of all three of these films, they're dark, yet funny. There's something Tim Burtonesque about them; creepy, yet satisfying! Personally, I don't do stop motion animation, I work in 3D CG animation, so I have the upmost respective for the creatives behind this project - stop motion is such a complicated form of animation to master. As we all know, with every great animated featured film, comes gorgeous dolls and toys! Right now, there isn't a huge amount of Boxtrolls dolls, or figurines available, but don't worry...there will be! Be sure to bookmark this page and keep checking back, as I'll be adding more and more toys as they get released. If you can't contain yourself any longer, then you can go ahead and click here to go straight to Amazon.com's page dedicated to all things BOXTROLLS! Don't you think the part of the movie when they all go to bed, is just the cutest thing? I love how they all stack up together - sooo sweet! But, that aside, I want to know which Boxtroll you like best? Or maybe you don't like any of the Boxtrolls at all, and you prefer the humans...? Funko POP! Boxtroll Figures and Dolls! So, it doesn't appear that there have been any official dolls released yet, but those clever folks over at Funko are on it! They have released a couple of Boxtroll themed dolls, and aren't they fab! 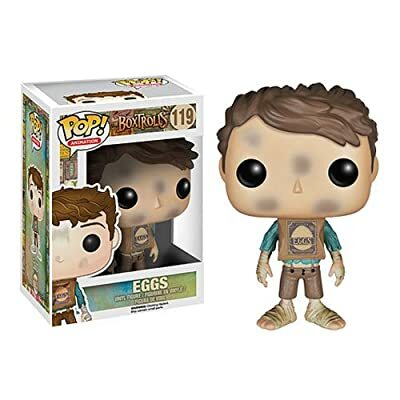 Here we have the Eggs treatment of the traditional Funko doll. The detail is so good. His little eggs box top gives all the character and quality you would eggs-pect (haha, sorry, couldn't resist the pun) from such a well known brand of doll and figurine. This would make such a brilliant addition to any animation fan, stop motion or otherwise...or for any collector of fine film merchandise! This Eggs doll would look fab in any unique doll collection. 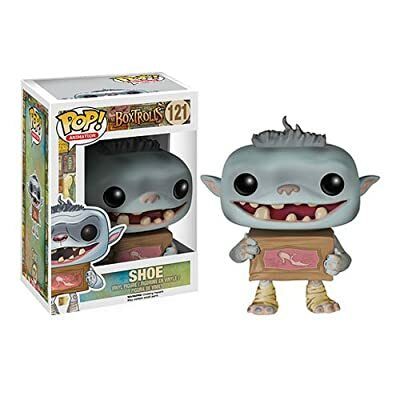 If you prefer your Box trolls to look a little more...well, troll-ish, then having your own Funko version of Fish or Shoe, rather than the boy, Eggs. But, I mean, isn't he just so cute! I love the troll characters from the Boxtrolls, they have such appeal...they're adorable! If you looking to get your own Boxtroll doll, just get one of each of these little beauties, you'll have many hours of pleasure just watching them play together, in their troll-ish way. Have you seen the BOXTROLLS trailer yet? Look out Shoe fans! He's here! 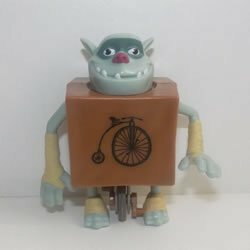 If this little Boxtroll is your favourite, well here at last, he can be yours. I love the whole Funko collection, I think they're so well made and beautifully crafted. They're iconic eyes and head shape really make these collectable figurines stand out from the rest. 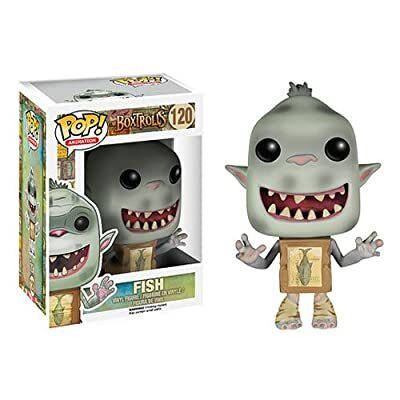 If you love Funko, this little Boxtroll dude is a must...but even if you're new to Funko, why not start off a little collection, here, right now! Their burgers might not be the best thing for you, but my oh my, do they know how to make the BEST toys ever! I love it when McDonalds produce the special edition Happy Meal Toys - and here are some super cute Boxtrolls toys from Amazon. If they're out of stock, you may have to bookmark the page and keep checking - I've noticed that these Happy Meal toys appear online quite irregularly...but for the most dedicate toy hunter, they will pop up now and then! So keep checking if they're out of stock! Here we have the ever so cute, Spectacles! You may have spotted this little fellow amongst the gang of Boxtrolls. Even if you didn't, this little toy makes a very worthy addition to any Boxtroll collection! I feel so grateful to McDonalds to bringing out these little toys, they're small but perfectly made! 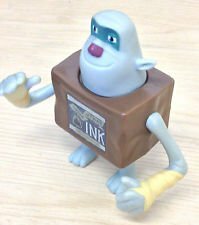 Yet another gorgeous little Boxtroll toy courtesy of those fast food giants, McDonalds. I have to admit, I really don't like McDonalds, no matter what your political leaning, their food is pretty nasty, full of fats and baddies...give me a salad any day (...and yes, I know they sell salad too). I love how McDonalds have Boxtrolls toys of the other non-main character trolls too! Super cute! Make your own BOXTROLL doll...aaamazing! Now THIS is what I call genius! We all love The Boxtrolls, and their little boxy way, and now you can MAKE YOUR OWN!! I love it...from within this humble little activity books, lies a punch-out surprise, that allows you to put together your very own Boxtroll! I freeeeeakin love it! The reviews on Amazon boast about this being the perfect "companion" for any bored child - so if you have a little someone in your life, around the 6-8 age range, and they fancy a challenge, then this is for them. Alternatively, of course, there's nothing stopping an adult getting in on the action too, and making their own Fish or Shoe!! Ok, ok...I know this isn't a doll, or a toy for that matter. Have to admit, I'm a little obsessed with "The Art of..." series. They're just so beautifully made, and contain such fantastic art work and behind the scenes wonder! 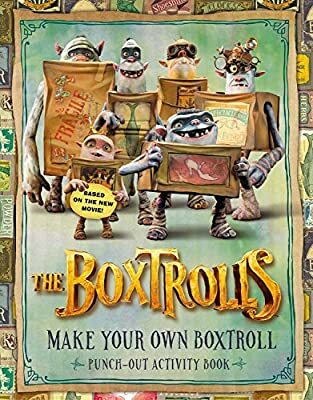 If you're a fan of The Boxtrolls, dolls or not, this book is definitely something that should be added to your library. The Laika team make The Boxtrolls look utterly gorgeous! Keep checking back for more BOXTROLLS DOLLS & TOYS! 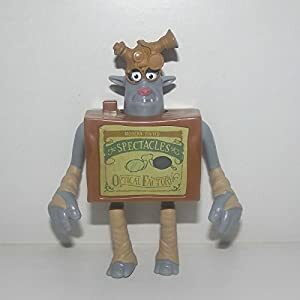 I'm eagerly awaiting for the toymakers and people Laika to put together a real life Boxtroll for us to buy...until then, we have to make do with the fabulous Funko dolls, and those uber cute McDonalds toys (not forgetting the make-your-own-Boxtroll kit either). As soon as more exciting Boxtrolls toys and dolls get added, I'll be adding them here. So be sure to bookmark this page to your favourites, and keep checking back!